Appreciate simplicity and function? Meet the leakproof Kid Loop Cap. 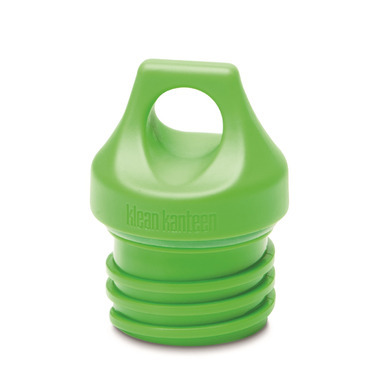 We recommend using this cap to transport your drinks safely without drips. Using the handy attachment loop, clip your Kanteen to just about anything. Made from polypropylene (pp#5), which contains no BPA or toxins. Compatible with Classic Klean Kanteens and only. Super cute, solid lid. I wish we could buy this with the kid size bottles and not have to do so individually. Nice, no leak alternative to the sipping tops on the kids bottles. Easy to clean. Easy for a 5yr old to open and close. Love that it's easy to clean, I just place it on the top rack of the dishwasher.